Addressing the 54th quarterly banks review meeting, the Chief Minister sought cooperation of the banks for implementation of the scheme. 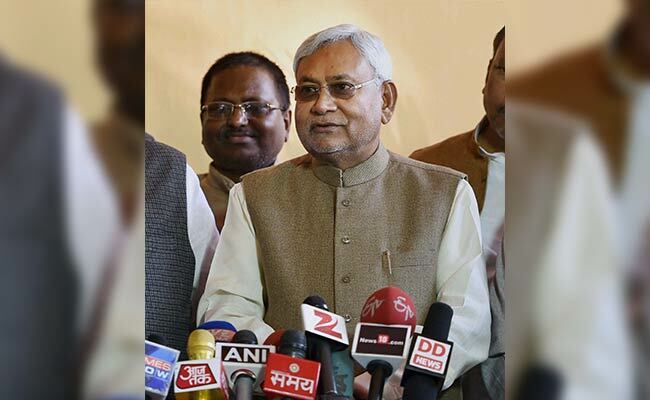 Patna: Bihar Chief Minister Nitish Kumar today said student credit card scheme to provide Rs. 4 lakh loan for higher education would be implemented from next financial year and sought banks’ cooperation in this regard. Providing student credit card for pursuing higher education forms a part of Mr Kumar’s “seven resolves” which he had promised before polls and which has been adopted by the coalition government led by him. He said the scheme would help lift GER (Gross Enrolment Ratio) in the state. Bihar has a GER of 13 per cent and Mr Kumar said efforts would be made to increase it to 50 per cent. For this it is necessary that students continue education after 12th standard and the student credit card would remove the financial obstacle in this regard, Mr Kumar said. He said the credit card would be issued to students for pursuing education after 12th standard from registration centre in every district. State Finance Minister Abdul Bari Siddiqui, Chief Secretary Anjani Kumar Singh and Principal Secretary Finance Ravi Mittal were also present in the meeting. The Chief Minister asked the banks to expedite opening branches at panchayat level. “At present, there is one bank branch for a population of 11,000 at the national level while Bihar has a bank branch for a population of 17,000,” he said adding there is no bank branch in 13 block headquarters despite the fact that road and other infrastructural facilities were present there. On the problem of security in banks, Mr Kumar said it’s a matter of concern for everybody and stressed on security audit of banks. Security norms should be followed and those found violating them would be punished. Mr Kumar also emphasised on more effective use of CCTV in banks.